Treacy's Hotel, located in Enniscorthy County Wexford, will treat you to a superior standard of personal friendly service. The Hotel combines contemporary glamour with old world elegance perfectly located in the bustling town of Enniscorty. Our Waterfront Leisure Centre is the perfect place to unwind. Please note that some of our bedrooms are situated in our new building situated 150m from the main hotel and this will include a short walk to the main hotel itself. 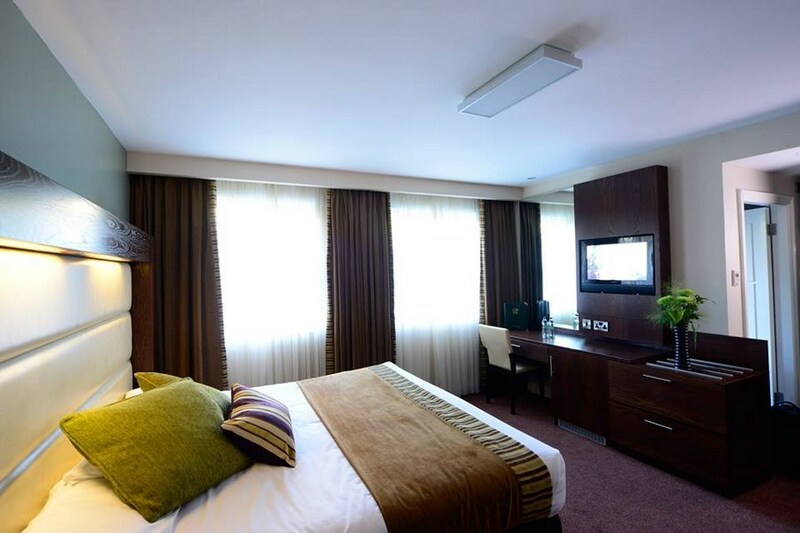 The hotel is located in the town centre off the N11 and is only 1 hour 30 minutes from Dublin City Centre. The hotel is only a 1 minute walk from the train station and bus stop. Complementary car parking is available throughout your stay and the secure car park is located opposite the hotel. Wexford is blessed with an incredible range of attractions and activities, you can indulge in Enniscorthys historical past with Enniscorthy Castle, The 1798 Centre and Vinegar Hill. You can also take a stroll along the River Slaney and enjoy a varied nightlife around the town. In the surrounding area there are plenty of attractions to keep you entertained from Quad biking to a trip around Wexford Heritage park or enjoy a family day out at Blackwater open farm and visit Wexfords beautiful beaches. From the minute we arrived the staff were very welcoming and could not do enough for us to make our stay memorable. Our room was very comfortable and we had everything we needed even down to plenty of milk, tea bags, towels, extra pillows and toiletries. The hotel is very clean, comfortable and the location is excellent. The food at breakfast was delicious. There is a pool/leisure centre right across the road which we were able to use free of charge and towels were provided for us. There is plenty of entertainment in the hotel which may keep some guests awake but we knew this beforehand and we are sound sleepers so this wasn't a problem. On this occasion we were on a relaxing restful break but when we return we intend to party. On the negative side just two things. The food in the bar was on the higher end of the scale. Our starters were €7 and it was €14 for a burger and chips. This might have been OK except for the fact that there were children running around and sitting apart from their parents taking up tables. Also on the second night we stayed in the bar after 11 o'clock and the same children were still running around. I have no objection to children but I feel they should sit with their parents under supervision. There was a sign behind the bar which said that children should leave the bar by 9 o'clock. Staff is very nice and friendly. Rooms are nice and clean. Family room could be bigger. Restaurant menu could be improved (our food was drowned in gravy). We stayed in the family room with 2 kids the noise from the nightclub until 3am was unbearable. Kids were up all night. After the first night I complained to the receptionist, he said that he will speak to the manager and get back to me - never heard from him. Had to put up with the noise for 2 nights, which spoiled the stay. Had a lovely week-end break here in June and really enjoyed our stay, staff are very friendly and helpful too the food was excellent and the entertainment was fab, look forward to another stay with you . Just recently stayed again in Treacys, absolutely 1st class. My wife and I have stayed here on several occasions as it never disapoints. Will return to Treacys very soon for another value for money weekend break. Pat and Carmel. We had good time in the hotel, very nice place. I would like to come back and would recomment to my friends. Thank you to very helpful staff. 5 stars for hotel. Bedrooms badly need updating and cleaning . Slaney suites have a smell going into them. Bar food not great. However dinner and breakfast excellent. Receptionists Victoria and Laura excellent. Very nice hotel, friendly helpful staff. lovely comfortable warm rooms in a great location and a really nice breakfast to start the day. We had a wonderful two nights in Wexford. However, it was the same menu for dinner on both nights and it was a bit poor. On the plus side the crack and music in the bar was great fun and we enjoyed it throughly. Valerie McNamara. Well to begin with I was put over in the Slaney Suites , which is up the road and around the corner. I was not in the Hotel which is what I booked. I was not impressed at all. I had no coa and the weather was bitter. Being over here means theres no room service abd when our swipe card didnt wrok which was 5 times over the 2 days we had to go back to the hotel to ge it re programmed Diaster! I would suggest asking where you are being put prior to booking. The food was lovely and the staff were also the same from the reception t the bar to the waiting staff. 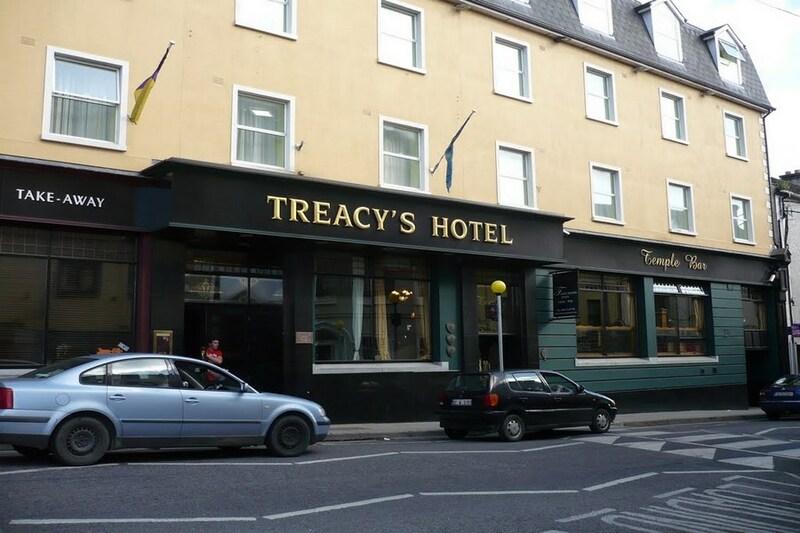 We had a wonderful time in Treacy's hotel last week, the staff, food and rooms were fantastic. Will definitely be back. Staff very friendly and helpful.Room and bed very comfortable.Great choice of food for breakfast.Kids really enjoyed making their own pancakes. We had a lovely room, plenty space. Food was great. Service was grand, everyone very friendly and helpful. Our two smallies loved the leisure centre across the road. Close to the coast and sites. We've been before and we'll be back again!! !Thank you! 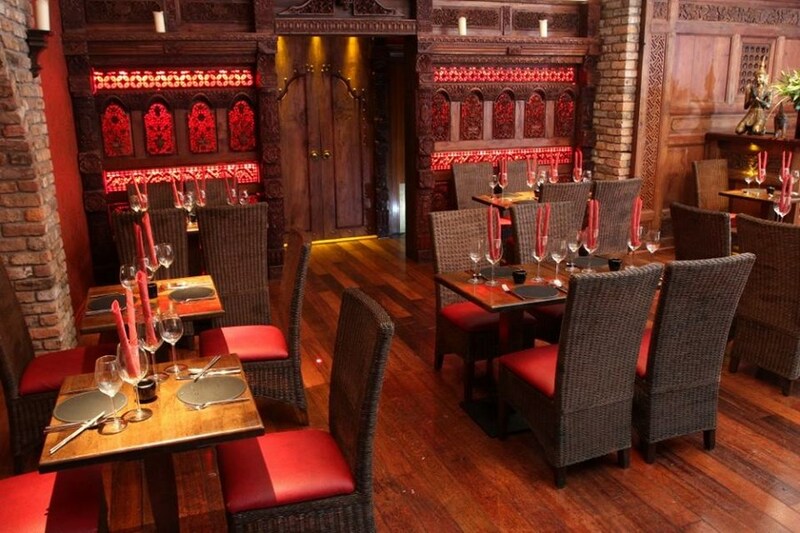 Positive: Staff were lovely, room was a decent size and the Thai restaurant was amazing. Negative: parking and pool are across the road and as the pool is not part of the hotel there is restricted times for swimming which is very annoying as you cannot plan a proper day if you want to go swimming as its times like 9-10 and 5-7 etc. Very noisy with having two kids as its connected to a night club and rooms are over it. The pool got broken into when we stayed so it was closed for a whole day so even less pool time. Kids club got cancelled as girl was sick, which was very annoying as its only reason we picked the place and after them telling a 4year old they were going to kids club and getting up at 9to go all excited to be told finally by receptionist after walking around looking for the girl then to have to ask that it just wasn't on. They didn't care the fact that we paid or no one bothered to let us no or that there were little children upset. Until I complained and said I wanted to leave. No pool no kids club lashing rain and not a Great town to do anything nothing around to do in Rain. Finally in the end the receptionist did manage to get someone to come in to do kids club. As greatful as I was I was also annoyed that it took me to complain and want to leave for them to get a replacement, if a employee rings in sick you should have back up and organize a replacement before the guest come to the meeting spot to be left guessing and looking and asking what's going on. Also wasn't asked when leaving if we enjoyed our stay. Food in bar wasn't great either as it was very greasy. Grand maybe for a hens or stags not for family's especially if raining kids spent most of the time watching TV which I could of done at home. In overall very good. some hiccups were there( airconditioning not working properly and smoke detector only hanging on wires) but all was fixed with great customer service. Especially in leisure centre. We enjoyed our stay. Booked a stay for my partner and I after hearing good reviews about treacys hotel when we arrived we where asked to wait in the bar as they could not find our booking we waited for 15-20 mins to be checked in only to be told they had put us in a room outside of the hotel around the corner a 2 min walk from the actual hotel we were also advised we could not avail of room service as we were not in the hotel we had a meal included in the price of the booking however the food was horrendous boiled slimey chicken in the ceasar salad tasteless mains and shop bought over sweet deserts. (Not included in the meal) 6euro each for a tiny portion. Breakfast was even worse everything was greasy and over cooked and not a great selection either . we didn't feel like we were in a hotel during the whole weekend. We were told the rooms we were sent to where quieter than the hotel this definitely was not the case we got a lovely wake up call at 7 am on both morning from kids in the room opposite us playing football.. Would not reccoment this hotel to anyone as you do not get what your promised before you arrive. I would rate this hotel as a one star. The hotel was extremely noisy and not very child friendly. Had to wait until two o'clock to get access to the swimming pool there was swimming lessons on, they could have just closed off two lanes in the pool not the whole swimming pool ridiculous having to wait. The rooms need updating not very modern at all. The breakfast was not really nice, sausages looked like and tasted very bland. Had to wait fifteen mins for scramble egg for child. Will not be going back. Had a terriffic weekend lost my purse it was handed in at reception great food great music two things to improve on is Breakfast staff were run off their feet and i thought had no senior guidance so for that they done a suburb job and the reserving of seats in the main bar i thought was over the top as there were quiet lot of them if people want seats reserved they should book a function room . We were very impressed with Treacys Hotel - We felt we got very good value for money with free parking convenient to hotel - use of the leisure centre - with everything in the town with in walking reach. Friendly & clean with entertainment in the bar - just felt the food was a bit expensive for bar food ! Excellent hotel. We had 3 children but the website only aloud to book for 2. This was not a problem and we were very well acomindated . The staff were excellent and the place was spotless. Great bar food and an excellent resturant. Only downside was the trip to the leisure complex which is located accross the road. Overall excellent stay and would recomend to any family. We will be back. We had a very enjoyable stay. The staff were very helpful. The food was lovely and the nightly entertainment was good too. Wexford is beautiful. Perfectly fine town cenre hotel, not for that quiet romantic weekend away but for a lively night out! Free parkign across the road, efficient reception staff, modernised rooms with black out curtains! Good choice for breakfast, all self service! Great nightlife in the adjoing D Bar - top class! Lovely hotel, very friendly great night life would recommend. i stayed at this hotel while attending a wedding at a different hotel in the town. firstly it was alot cheaper the rooms were huge and the breakfast was excellent. the staff were very helpful . i would recommend this hotel. We have just returned from a 3 night stay with 2 kids. I have to say the kids club in this hotel is one of the best in any of the hotels in Ireland I have been to, a special mention to the 2 Joan's thank you for everything. They took the kids to the playground swimming and had a treasure hunt in the hotel while we were there in the mornings and the evenings the had movies nights which you had to pay €5 for drink popcorn and movie. Our room was nice but there was an adjoining room to ours and the people next door were smoking and the smell came through to our room which was very unpleasant. Also the green lighting along the corridor was a bit dark and seedy. The food in the hotel bar was ok but never got to try the Thai restaurant but heard it was lovely. There was entertainment every night in the bar which was good. Overall we enjoyed our stay. I stayed in Treacys Hotel for one night on the B&B and dinner deal, although the price was good the hotel was not. The room was just o.k. and the bar and dinning room were filthy, dirty carpets and seats. The bar at 10.30pm was busy with kids running around and babies in buggies while parents sat in the bar. The only positive thing about hs hotel was that the breakfast was nice. Never again give this hotel a miss!